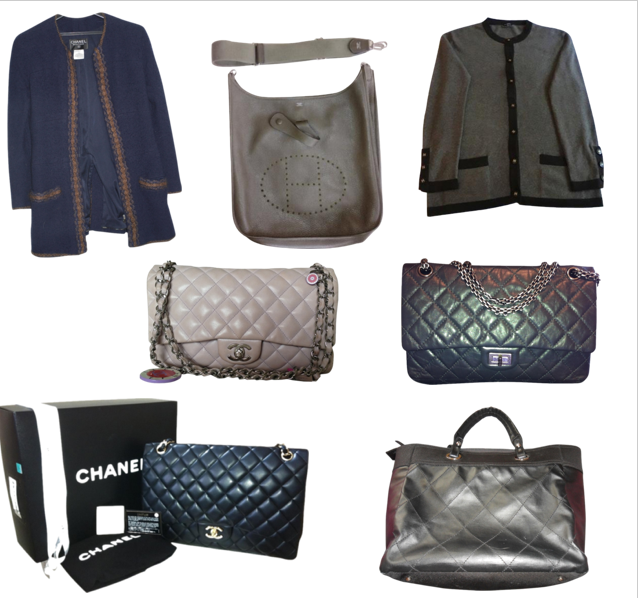 A number of you have asked me about acquiring classic pieces from Chanel or Hermes at discounted prices. In nearly all of the cases, if the price is too good to be true, it almost always is. There are, of course exceptions. I was lucky enough to nab a few designer goodies at unbelievably good prices but I'd say they are pretty rare these days. If I'm not mistaken, Chanel jackets run approximately £2800 upwards in the boutiques. There are some jewels to be had in the secondhand market if you look hard enough. I'm still a massive fan of both Hermes and Chanel bags and accessories but even I can't stomach the insane and frequent price hikes. I remembered on one occasion when I called the store and asked for the price of a 2.55 flap. It was £2400. Two months later, it was £3000. Utter insanity. Here's a list of a number of items that I'd picked out which are pretty good bargains considering their condition. When it comes to bags, I prefer those that have only minor wear on the corners as there's nothing you can do if they're worn down to the piping. Classic pieces tend to hold their prices really well compared to limited edition and seasonal items. Happy hunting! It's all relative depending on supply and demand as well as the exclusivity of the brand and quality of the items. Don't you think so? Chanel Cerf can be difficult to find because it's popular. And classic so people do hold on to them. I'll keep you in mind if one comes in.